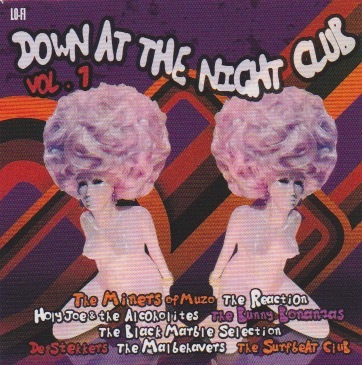 The Miners of Muzo appear with two tracks on the garage rock sampler Down at the Nightclub vol.1 which is released by Down at the Nightclub Records. The tracks on this sampler are Bad Youth and Hellkazelzer. 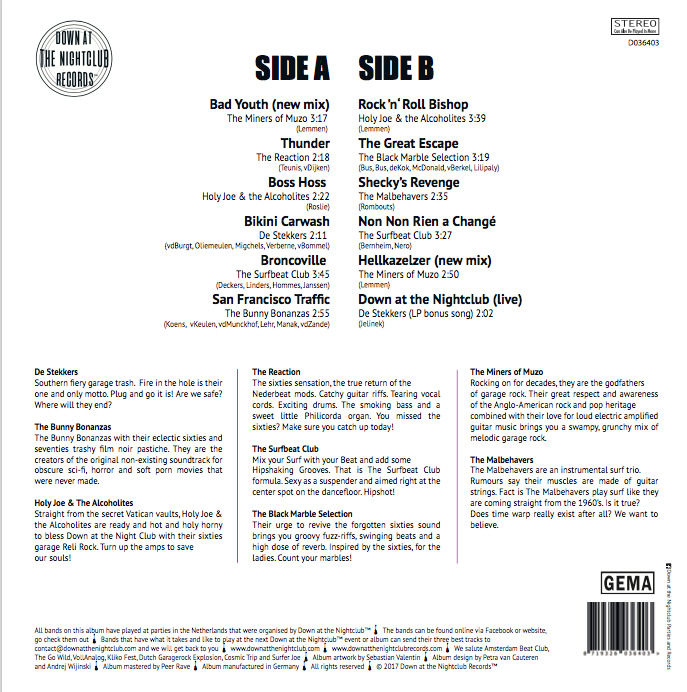 Both are remixed and have organ added. 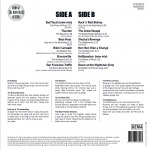 The album is available on CD and 12″ vinyl LP with an exclusive bonus track. 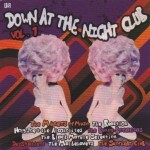 Your local record shop can order at Clearspot, the distributer of Down at the Nightclub Records. New album Really is that a fact?